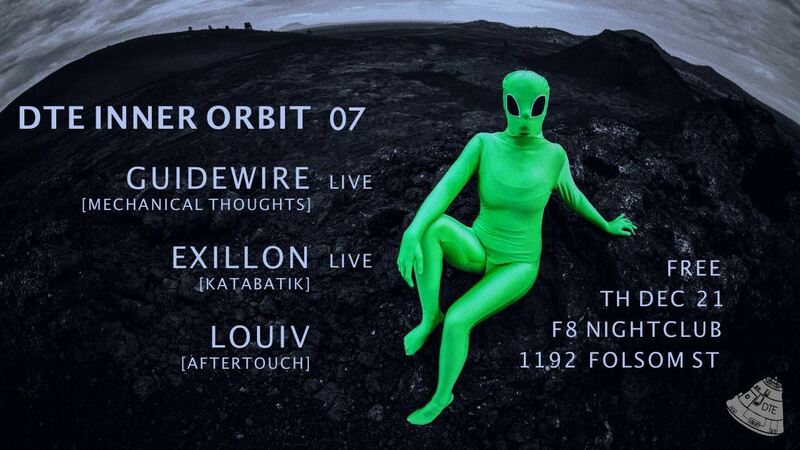 Inner Orbit is a free party for the SF dance music community that highlights local techno – especially female, queer, and POC artists. 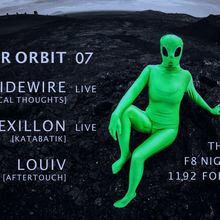 For our 7th trip, we’re celebrating the holidays with sets from master selector Louiv, along with two SEARING live pa’s from core Katabatik artist Exillon and longtime DTE family members Guidewire. Put that under your tree and wrap it. Get there early for free pizza. Let’s make Thursday techno again! Here’s to techno, here’s to you.